← New forest…… Highland cow? Yes we have them here too. Liptastic! Charcoal, is there a technique? I had to pop to my local art/ craft shop, as I needed a charcoal neocolor pastel for a painting I have been requested to paint for a friend. While there I just got a little side tracked, as you do, and noticed near the neocolors a box with sticks of charcoal for .25 p each, so I decided to buy a few sticks, in varying thickness, small medium and larger. I have never used charcoal before, and despite many tutorials that are probably available on YouTube, My technique involved going straight for it. 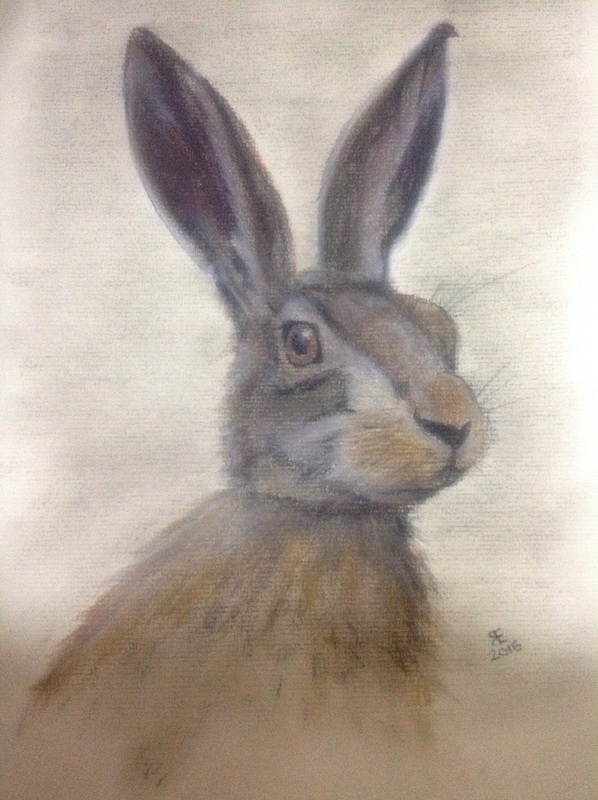 The first hare I got a little lost in what I feel a charcoal picture should look like, and ended up adding coloured features using derwent charcoal pencils ( which I already had) this meant the picture looked rather like my usual work, albeit a little softer in look. The second attempt was much more of the look I was trying to achieve, this time I snapped one of the sticks into approx a two centimetre piece. I did want more line work to show, but I think I may have got a little heavy with the stick, due to this I did add in some chalk highlights. I need more practice.I am surprised I have never tried it before, probably because I have always felt that it is a medium that you cannot get fine detail with, which I am now trying to educate myself too…..less detail! and I love the intense black. Hopefully more to come. 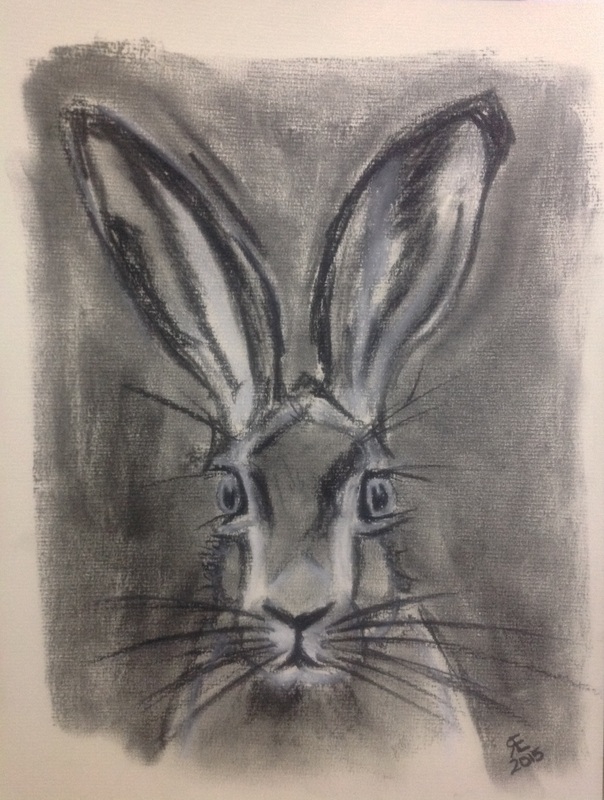 This entry was posted in art, Charcoal, derwent charcoal pencils, Drawing, Hare, picture and tagged art, Charcoal, derwent charcoal pensils, drawing, Hare, painting, Painting, picture. Bookmark the permalink. 2 Responses to Charcoal, is there a technique? I like them both, but the abstracted looser look in the second one has a wonderful energy.